Let us prepare your Employee Handbook to ensure compliance with your state's labor laws! Contact the professionals at The Labor Law Group to obtain this video series or chose from numerous other titles! • Workplace Privacy: Does It Really Exist? The Labor Law Group provides labor law consulting and legal services exclusively for EMPLOYERS in the United States, with an emphasis on California labor laws. The Labor Law Group provides an array of services which will proactively address all issues relating to employment law as it applies to your workplace. We Represent and Protect You! For a FREE consultation with one of our professionals at The Labor Law Group, call (800) 850-3466, or use our Contact Us form today! 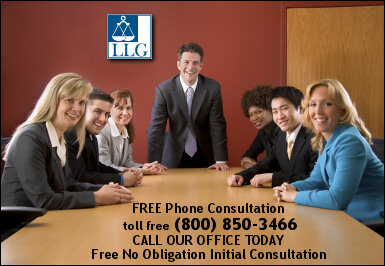 Free, No Obligation Initial Consultation. Call us toll free at (800) 850-3466 or fill out the Contact Us form below.